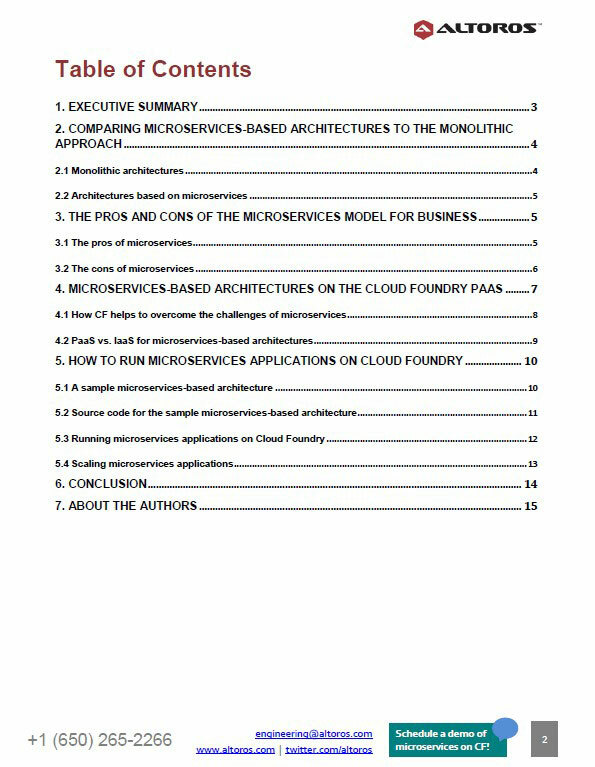 This 15-page technical guide compares microservices architectures to monolithic apps and demonstrates how a PaaS addresses associated challenges. Building monoliths in a cloud is challenging: the app has to be re-built and re-deployed every time you need to make a change. 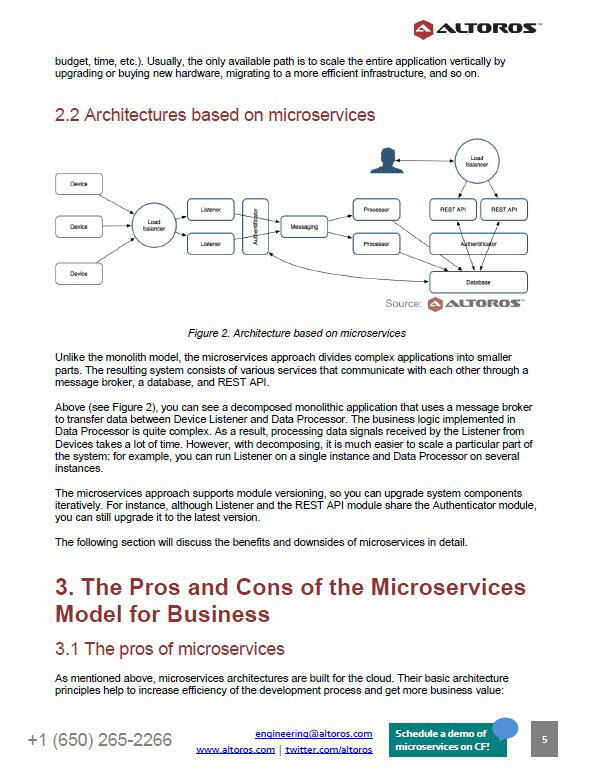 Architectures based on microservices help to overcome these issues by splitting complex systems into multiple independent services. However, there are some things to keep in mind. 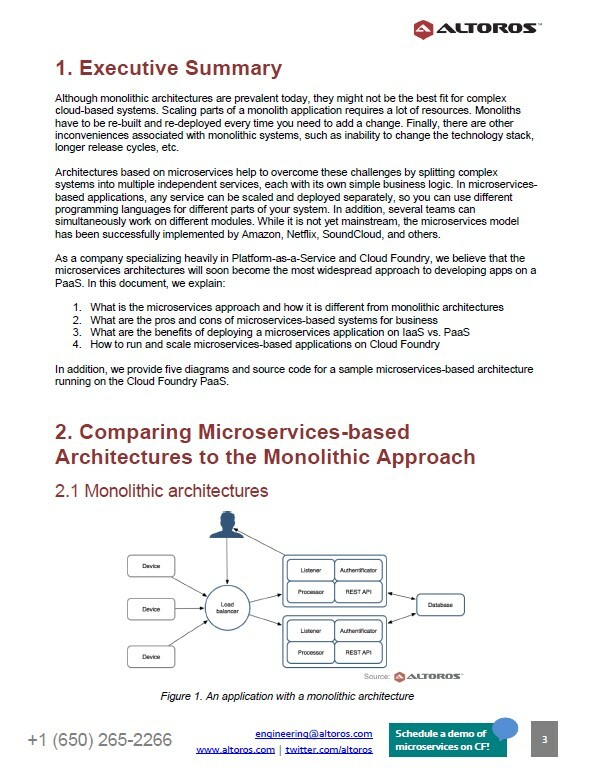 With 6 architecture diagrams and 3 comparative tables, this guide describes the pros and cons of microservices and compares them to monoliths. 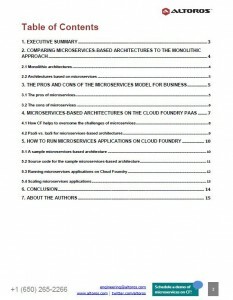 This guide features a tutorial on how to run and scale microservices-based apps on a PaaS, such as Cloud Foundry. 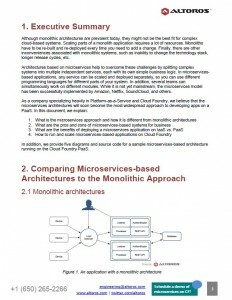 It also explains how DevOps efforts differ when implementing microservices on IaaS vs. PaaS. In contrast to monoliths, microservices allow for using different programming languages for different parts of your app. Furthermore, several devs teams can simulteneously work on separate modules. 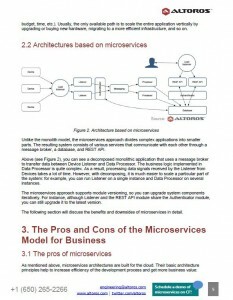 This guide explains this approach in detail and provides the source code for a sample microservices app running on CF.